Zumiez pronounced Zum-eez, is an American clothing retailer with over 600 stores in the United States and Canada. The first store was opened in Seattle, Washington in 1978 by founders Tom Campion and Gary Haakensen. The company went public in 2005 and is officially traded on NASDAQ as ZUMZ. Currently headquartered in Lynnwood, WA, The organization is now under the leadership of President and CEO, Richard Brooks. The chain first started as a store called “Above the Belt,” but changed their name to “Zumiez” in the late 1980’s. One thing that has remained current is their dedication to offering the hippest active wear for skaters and extreme sports enthusiast of all types. 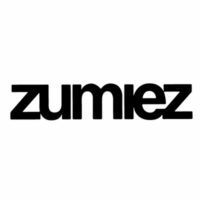 If you’re interesting in skate culture, you can find a Zumiez application by searching Zumiez jobs online. The atmosphere of their stores offers a place for their young customer base to hang out. The pre-requisite orange couch is included in every store along with video games, encouraging customers to sit and talk with each other and the staff. This perpetuates the constant buzz around the stores and their brand. They take this customer engagement one step further by offering Zumiez Stash. They literally harness the social reach of their young patrons by offering a stash of points every time they interact with the brand on Social Media. The stash can then be used for exclusive offers. Exactly what you’d expect from a forward thinking Seattle based operation. Anyone interested in a job at Zumiez should go to the website and create an online profile. You cannot download application form and there is no printable application form. The application form is contained within the online application process. They follow the industry standard application process for progressive companies offering job opportunities. Retail positions include entry level sales reps where you learn the skills needed to deliver top notch customer service. The next step would be Assistant Manager where you help the store manager train employees and oversee store operations. Finally, you can find opportunities as a Store Manager responsible for all of the stores operations and success. To learn more about Zumiez jobs, visit their website. Outside of the Retail environment, career opportunities exist at The Distribution Center in Corona, CA, which distributes all merchandise from vendors to stores. The Customer Care and Web Fulfillment Center in Edwardsville, KS services Internet customers, and provides Customer Service. Finally, positions are available at the Corporate Office in Lynnwood, WA. How old do you have to be to work at Zumiez? You have to be at least sixteen years old to apply for any position at Zumiez. To apply for positions or work in the Distribution Center or the Web Fulfillment Center, you must be 18 years old. See link below. Zumiez careers offer employees fair and competitive compensation for based on their experience, duties, and responsibilities. The company also offers discounts, commissions, and bonuses. Many full-time employees are eligible for benefits including health care, dental, vision, and paid-time-off. Store Managers and above are paid a salary. Retail hours are Mon-Fri 10:00AM-9:00PM and Sun 11:00AM-6:00PM. Sales Associates– Sale Associates provide top notch customer service, maintain the look and vibe of the store, locate merchandise as required to satisfy the customer. This is the ideal position for an entry level associate who has a strong knowledge of clothing and especially outdoor board sports. Requires excellent customer service skills. Assistant Managers– Assistant Managers help the Store Manager run the store while learning the responsibilities of the Manager. Takes on a leadership role in the absence of the Manager. Helps develop Sales Associates and is developed for a role as Store Manager. Assists with hiring and answers questions for Sales Associates and customers. Store Manager– The Store Manager handles all day-to-day store operations. Store Manager will review applications, interview applicants, hire sales associates, and provide training, and supervision to all associates. Store Manager will be a role model in sales and customer service, and ideally should have a passion for or understanding of outdoor board sports. Distribution Center- positions are available in Corona, CA. The Distribution Center manages product coming in from their many vendors and prepares them for shipment out to the 600 store locations in the US and Canada. Jobs at the DC include working on the loading dock, driving trucks, or moving freight with fork-lifts. Customer Care and Web Fulfillment– This operation has positions available at the Edwardsville, KS facility. These jobs involve providing customer care to customers who place orders on the internet, and fulfilling orders. There are also Executive and Administrative positions available at the Corporate Headquarters in Lynnwood, WA. If you are local to one of those areas you can find more information about Zumiez jobs at those facilities on their website. When you apply for a job be able to demonstrate a knowledge of their fashion and the sports to which they cater. Be ready to answer the following questions. Why do you want to work here? Hopefully the answer is that you enjoy skate boarding and the culture surrounding it. What are your strengths and weaknesses? Be realistic but positive about both. For instance don’t say your weakness is that you hate to go to work and you call in sick whenever you can. Or you love to party so you don’t want to work weekends. You should also ask thoughtful questions. What is your relevant work experience? If you’ve never had a job, be truthful and explain other responsibilities you have had demonstrate responsibility. What can you bring to the team? Show genuine enthusiasm for their products, their store, and the extreme sports they cater to. What do you know about skateboarding and snowboarding? Show that you have a knowledge of the sports the customers play. Next applicants will be asked to interact with each other in mock sales. They also use fun team games during the interview process to see how applicants interact. Be yourself and have fun. Take instruction and use the feedback to come up with innovative solutions. To learn more about how to apply for Zumiez online, follow the link for online application below. All candidates must fill out a Zumiez application online. To begin the application process you should have a current resume. You should also watch the You Tube videos and spend time on the companies social media platforms. When you find a job description that matches your skills, show your knowledge of the company and the brand by wearing their clothes or similar outdoor gear to your interview. However, make sure your clothing is not torn, soiled, or too revealing. This will demonstrate an affinity with the brand, and a respect for the job. The dress code may be more flexible once you are hired. If you’re applying for a position in management you should be able to explain your leadership skills. Primarily your ability to develop people and maintain the hip atmosphere while operating a profitable and productive store. Also your ability to interact with customers and talk about the things that are important to them like the skate and snowboarding cultures. Finally your unrelenting commitment to customer service and satisfaction. For management positions a more conservative form of dress would be appropriate to demonstrate that you understand the level of professionalism required for such a position, but with accents to demonstrate that you understand the brand and the culture. Tattoos, piercings, and non-traditional hair styles are all part of the culture and are not a barrier. The most important qualities to demonstrate are a commitment to customer service and an understanding of the skate and sport culture. To begin the free application process, apply online using the link provided below. If you feel employment with this company would be right for you, fill out the direct application online.